We bring our passion for nutrition and wellness to your event. From learning what to feed your infant and how to manage picky eating, weight loss, prenatal nutrition, nutrition in the workplace and more, we will provide a stimulating and thought-provoking lecture to your group. 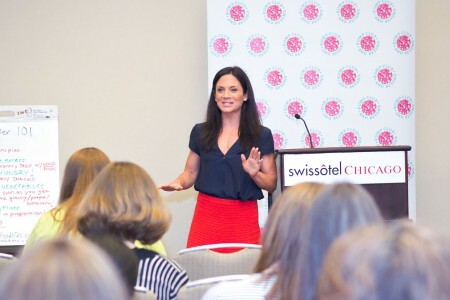 Lara’s education, professional, and personal experiences, along with her expertise in celiac disease and infant nutrition, make her uniquely qualified as a public speaker. As an active, busy mother of two growing boys, she understands the challenges and barriers to “getting it all done.” Whether it is an educational lecture, lunch-n-learn, or team talk, Lara uses personal experiences, stories, and consumer friendly situations to educate her audience and inspire parents to FEED their kids wisely and prevent future disease. Contact us about lectures we have given recently and discuss potential topics for your group.